….One of them anyway. Some of you may have noticed that I haven’t put anything the blog for a little while, that’s because I have been away for a week. I’ve spent the last week in the Yorkshire Dales, doing a spot of walking and visiting the delightfully hospitable pubs. Just as a bit of Tourist Info, try The Green Dragon in Hardraw on a wet/cold afternoon. Over 700 years old, stone floors, big comfy chairs, 7 open fires and that lovely smell of wood smoke, not to mention the beer! We stayed in the village of Bainbridge which is in the middle of the A684 that runs East to West through the Dales. Surprisingly there were an awful lot of lorries! Most of them were related to agriculture, tippers of all types, including feed trucks like the Renault above. This orange and green 8×4 was a regular through village, much to the delight of my 2.5 year old son (not me obviously!). 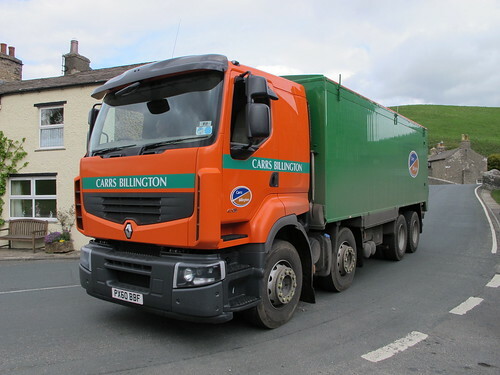 “Daddy there is an orange!” Carrs Billington have a number of depots around the North, but this one parked up with 2 others in the next village of Askrigg. A busy but tidy little fleet. 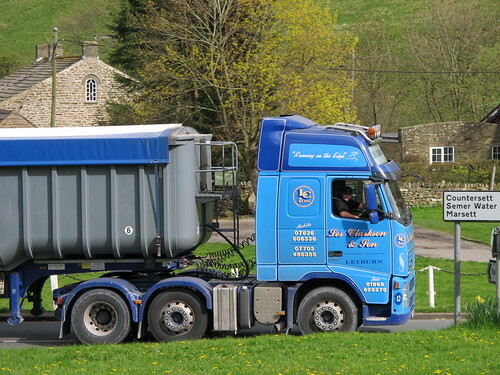 Next up is this smart Volvo tipper with a traditional livery from Les Clarkson & Sons from Leyburn. This is the one and only time I saw it, but even so you have to agree it is rather nice. There were endless trucks, mainly tippers that came through the village each day and if it hadn’t been for the walking and the many pub visits, I probably would have taken more pics, but I was on holiday, so you can’t blame me!! Any way I have a huge back log of stuff for the blog and lots of leads for new content. We also have some more guest writers to feature, including another Ian Harper road trip (Author of the 3 part blog – Manchester to Manchester Via Rhodes, Greece – search in the search bar) and others. Truckfest Peterborough next weekend as well so i’ll be making a quick visit there on Sunday, so keep an eye out for a man carrying Truckblog stickers……..that will be me so say Hello! Right i’m off to now sort the other holiday photos!! 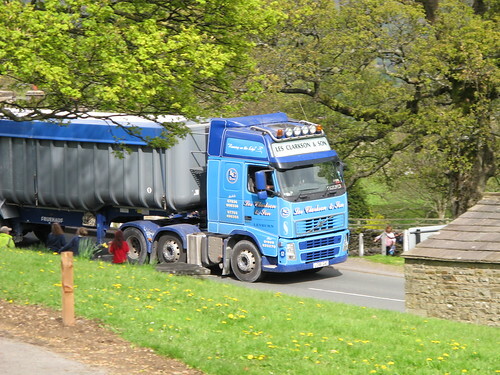 This entry was posted in NEWS, Photos, Renault, Volvo by truckbloguk. Bookmark the permalink.